These are vintage Czech glass beads. They are teardrop shaped with all over facets. The color is a translucent peachy pink. 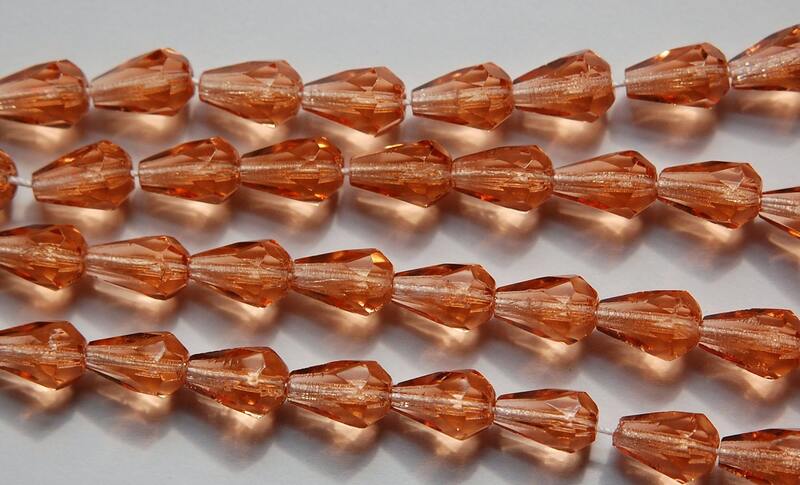 These measure 10mm long X 7mm wide. You will receive 10 pieces. Just beautiful. Thank you for the quick shipping and easy ordering. great as always thank you!